Gateway Military School is designed to help self-destructing and misbehaving teenage boys do a turnaround and begin looking at life differently. – boarding high schools and schools for troubled teens. Teacher Ratio: ? to ? Gateway breaks the mold in regard to today’s military schools in that it is designed just for troubled boys. It features everything required to deal with boys who are misbehaving, in trouble with the law, were expelled from school or who have below-par grades. Boys at Gateway are under adult supervision around the clock. Started as a typical military school, Gateway now continues the decorum and discipline of a military school but blends a character-enriching program and counseling into the program, absent the meaningless drills and screaming drill sergeants of typical military schools. The boarding school offers positive discipline and life-change in troubled boys, administered by caring and helpful mentors and peers who encourage them to success. The purpose of Gateway is to help self-destructing and misbehaving teenage boys do a turnaround and begin looking at life differently. They are given a new purpose, a new drive, and a new passion to be a better person and to serve others. Gateway provides ongoing year-round academics as a Department of Education registered private school. Certified teachers assist students in two available self-paced curriculums (Accelerated Christian Education and Alpha Omega), offering tutorial help when needed. A high school diploma is awarded upon graduation, as well as assistance in obtaining ACT and SAT testing in the local schools. Students use a computer-based curriculum that self-scores to facilitate moving at a faster pace through the curriculum. As many of our students come to us having fallen behind in their academics, our school operates year round. Once a student has individually mastered one concept he may move ahead to the next concept without having to wait on a classroom of students, so many students are able to either catch up or get far ahead in their studies. Should you need help finding boarding schools with therapy, schools for troubled teens, and therapeutic boarding schools for boys please let us know. Military schools offer structure, mentorship and a safe environment that limits distractions and temptations that can detract from academic and personal progress. Still, military schools are not always the right choice for every young person. While military schools offer structure, and academic and athletic discipline in a controlled environment, military schools are not intended to act as a rehabilitation program. Military schools want students who wish to prepare themselves for a future in a collegiate, military, or professional setting. 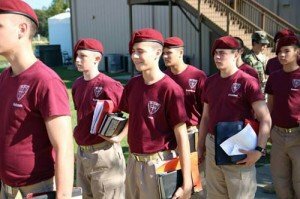 Gateway Military School is designed to help self-destructing and misbehaving teenage boys do a turnaround and begin looking at life differently.